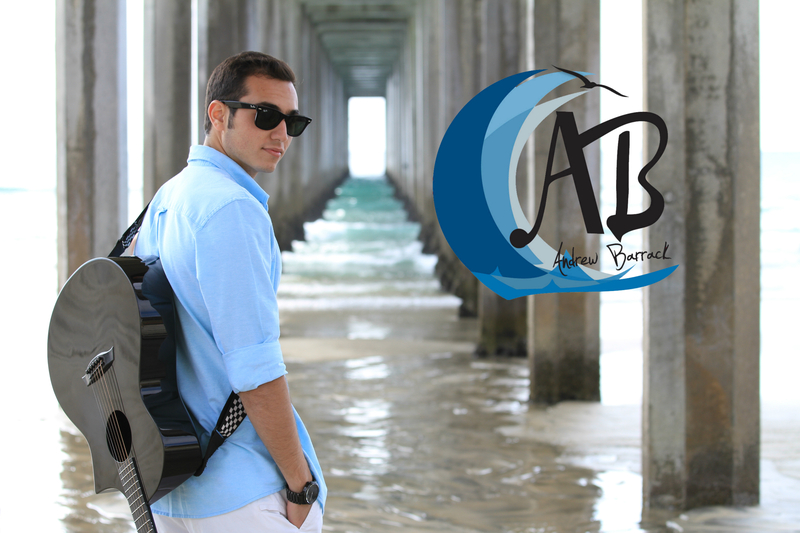 Good Music and Good Vibes: Andrew Barrack's "High Off Of Love"
Wearing Ray-Ban Wayfarers and an open button-down shirt, Andrew Barrack is often somewhere between San Diego and Los Angeles and with an instrument in hand. There is something delightfully charming about a singer-songwriter's music when it teleports you to the beach without a care in the world. A calming paradise of sand, sun, palm trees, and good music. Andrew Barrack is precisely that kind of acoustic singer-songwriter and multi-instrumentalist whom you should keep on your radar. Drawing inspiration from his childhood in San Diego, Barrack has written song after song in the carefree, beachy spirit he grew up with. From an originally maternal demand that he take piano lessons, Barrack developed a knack for playing instruments and writing music, citing Andy Grammer, Jack Johnson, Jason Mraz, and John Mayer as his adolescent influences. Transplanted from his familiar band in San Diego to the musical mecca of Los Angeles, Andrew Barrack has built-up a following at the University of Southern California, to whose Music Industry undergraduate program he transferred a year and a half ago. Playing breakfast-joint favorite Jacks N Joe and USC student-run coffee shop Ground Zero, Barrack has seen the fruits of his labor both acknowledged and appreciated. Released this January, Andrew Barrack's 7-track EP is called High Off Of Love. All written and performed by Barrack, the EP was recorded at Su Casa Studios. A compilation of his work for the past few years, the overarching theme of the whole EP is a laid-back vibe. From playing acoustically to writing and performing earnestly to incorporating surprise elements of jazz, Andrew's EP High Off Of Love is textbook "easy listening." The title track "High Off Of Love" features Barrack's vocals in a crooning fashion, reminiscent of Adam Levine's in Maroon 5's 2007 album It Won't Be Soon Before Long. "High Off Of Love" is a delightful medley of all sorts of guitars and drums, even with some sax to add a jazz element to an already strongly-written track. The song began with several disjointed lyrics and chord progressions, all of which were boiled-down into the final cut. Immediately afterward is "85," a song whose opening includes recorded tracks of seagulls and crashing waves, both clearly an homage to Barrack's roots by the ocean. "85" is seeping with reggae influence, and Barrack's vocals fulfill the Jason Mraz/Jack Johnson quality imperative to relaxing, beach songs. In a cheery but calculated harmonization with former bandmate Angel Gatus, Barrack references the I-805, a highway that runs throughout San Diego and its neighboring suburbs. The song's simple and repetitive musical composition truly lets their vocals shine through. "Better Days" boasts a drastically more complex musical arrangement than the other tracks on High Off Of Love. Upbeat and with a faster tempo, "Better Days" is a song that borrows the iconic Stevie Wonder keyboard/synth sounds in "Superstition" and employs a large brass section. The guitar solo halfway through the song is expertly executed, the vocal build after is suspenseful, and the seemingly improvised synth solos toward the end add to the jazz elements of the track. With 7 total tracks, High Off Of Love is a varied EP with a cultivated sound. Each song belongs in its place, and there's absolutely an audience that appreciates this kind of organized effort by creative musicians. Throughout the EP, Andrew Barrack's musical prowess and creative drive manifest in inspired work definitely worth listening to. Follow Andrew Barrack on Twitter, SoundCloud, and Facebook! You can download High Off Of Love here.